Surprise toys are HUGE at the moment, if you're not aware of this craze where on earth have you been? 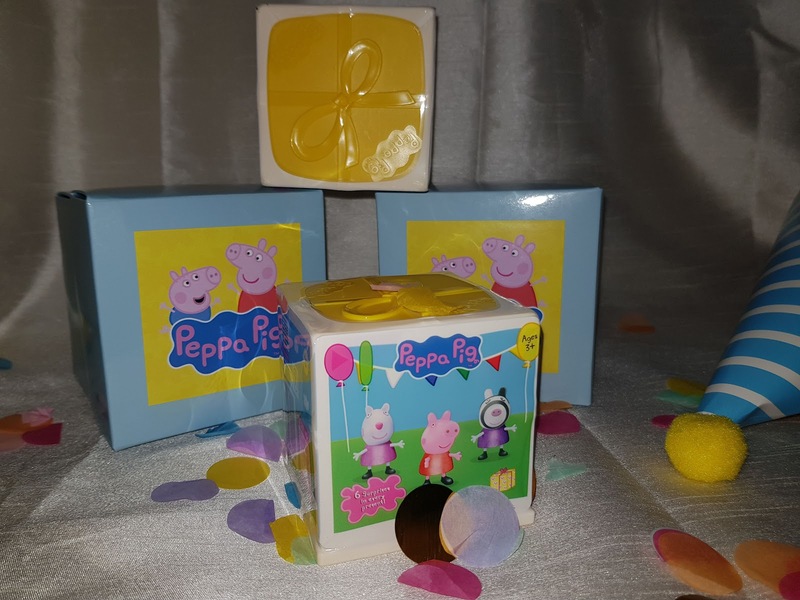 The notion is very simple, it's almost a bit like pass the parcel with a new gift, toy or accessory to be discovered within blind bags it's .....like the gift that keeps on giving. 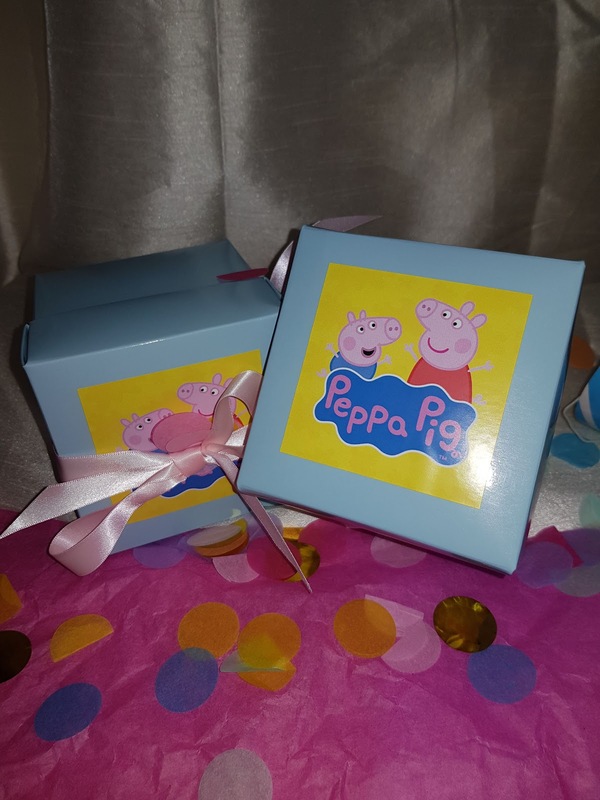 NEWLY launched is the Peppa Secret Surprise, aimed at pre schoolers it's a party cube of surprises that children will love! We were recently sent two of the Secret Surprise boxes in anticipation for the launch and Elarna was SO excited, she absolutely loves cheeky Peppa and has several Peppa toys so I can't begin to explain how thrilled she was to receive these. 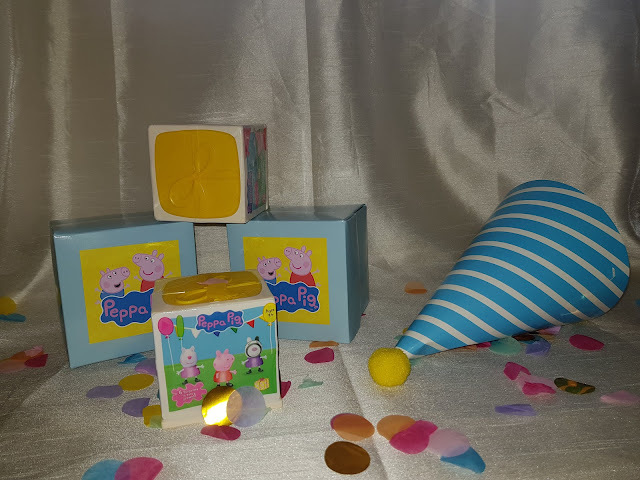 Inside our little Peppa party box were two of the cubes and some party accessories so we could celebrate with a bang! 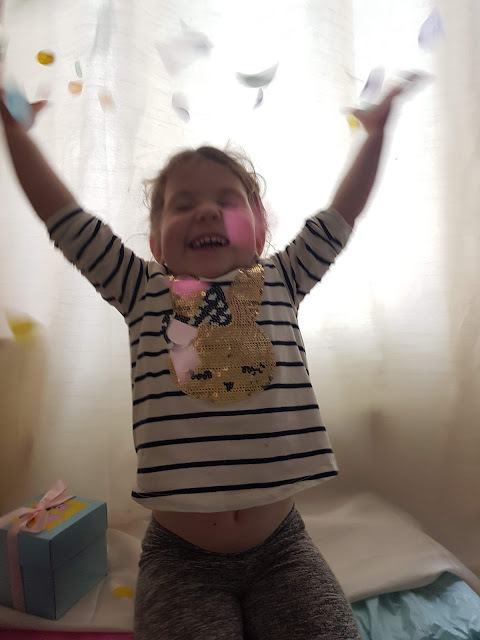 It was all very exciting! The little surprise boxes come beautifully wrapped like birthday gifts which is apt as the theme of these current boxes is party themed with yellow boxes and party accessories. Ensuring collections are kept fresh there will be new series of the boxes in 2019 which will feature different coloured boxes and a brand new theme of figures and accessories to add to the collection. 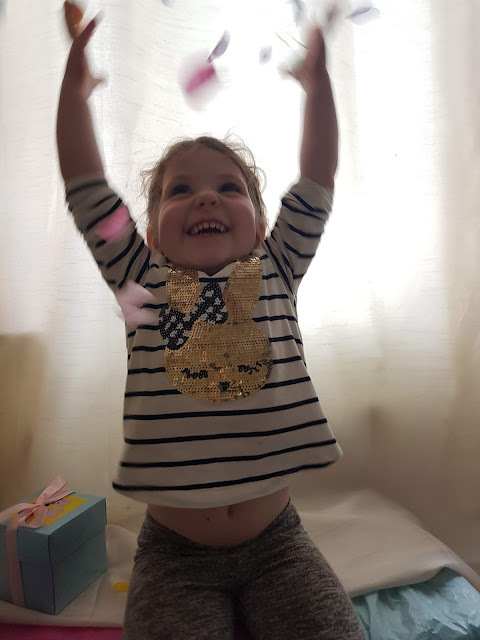 Elarna was so excited to see what it was all about. 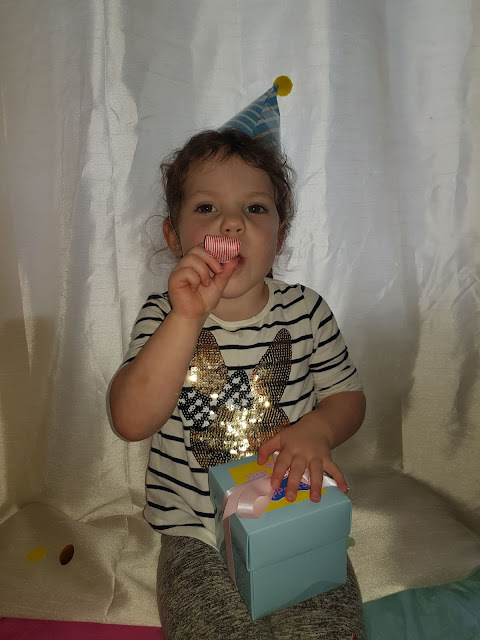 Although blind bags and surprise toys aren't a new thing to her I think the Peppa Peg theme really enticed her and made it all the more exciting. The cube shaped gift box hides lots of surprises, once unwrapped within the cube are 6 little drawers hiding all the excitement. Within the drawers are five blind bagged toys and within the 6 a fun sticker sheet. As you can see from the pictures below the cubes are big enough to fit inside an adult hand, they are a nice size and brilliant fun. 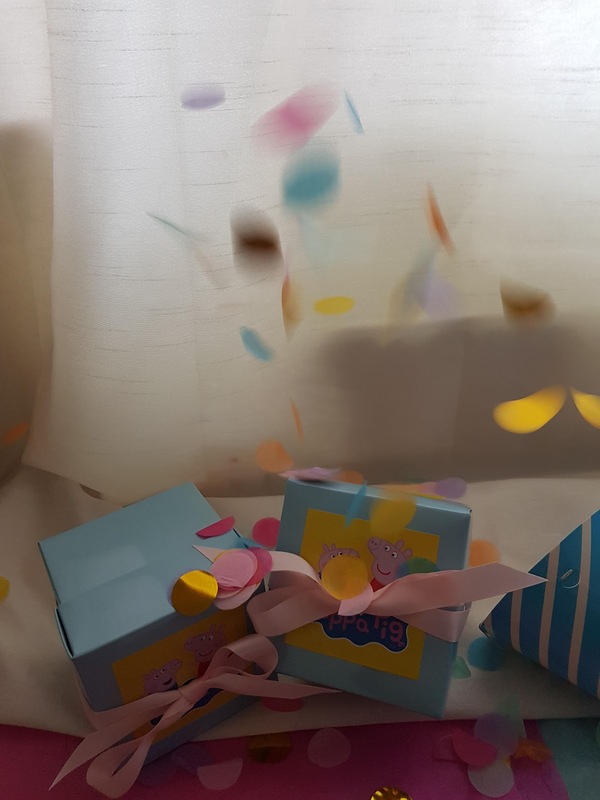 We struggled a little to open the drawers as they were a little stiff but once inside the blind bags were well received! Children will be able to find all the popular characters from the TV show such as Peppa, Suzy Sheep, Zoe Zebra and Rebecca Rabbit as well as party hats, fun accessories and a party gift box and more. 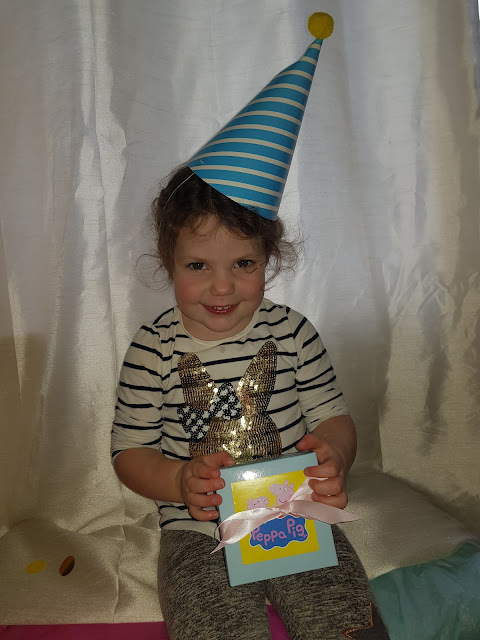 I love that there are so many things to find, there are lots of accessories to find such as crowns, party hats, wings and more. 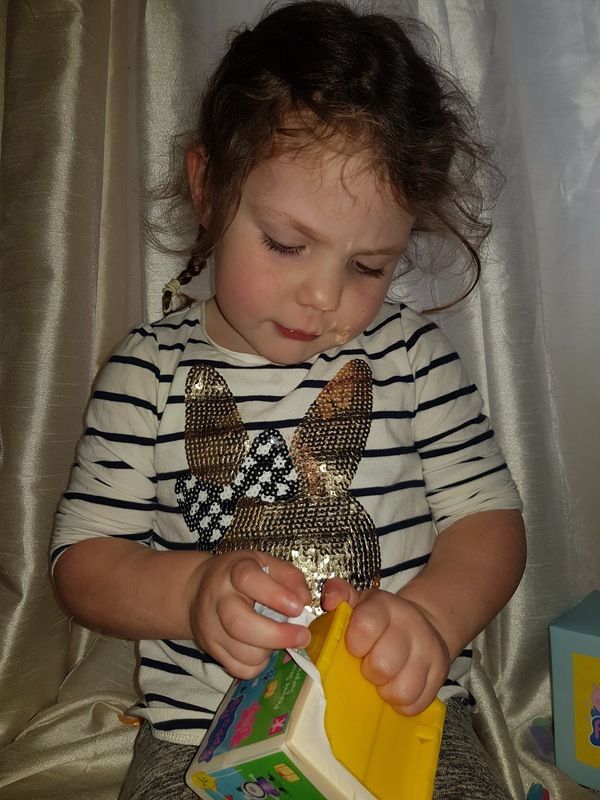 Of course the best bit is unwrapping the box and searching for the drawers which are quite disguised adding to the playability of the toy. Once you open the drawers you find the goodies, I did notice that the drawers are numbered so you could open them in numeric order but it doesn't overly matter as the end goal is the same! We really loved the cube, the little drawers add an extra dimension to the blind bagged surprises and the items that you can find are great, the sticker sheets were a nice a added extra too. For £9.99 these are a brilliant price, I'm hoping that I can get another for Elarna as another extra little Christmas gift. 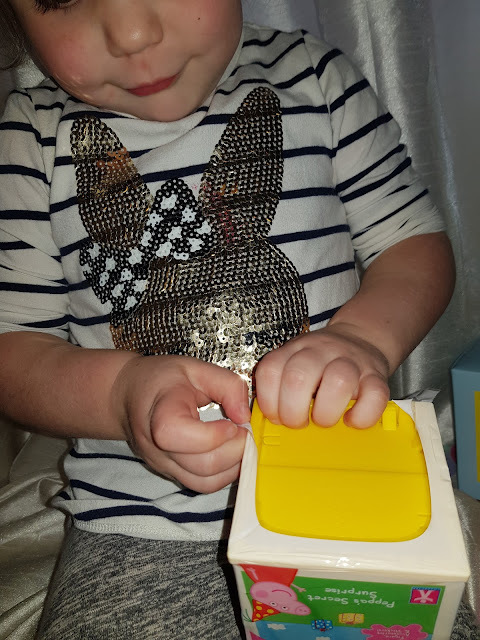 The only negative I could possibly find is as mentioned above the drawers are a little stiff and I did have to help Elarna open them, I also think it's a slight shame that the cube itself can't be used as something like a house or more of a storage cube or even an add on toy. I'm a bit clueless with what to do with the cube but I'm loathed to throw it out! 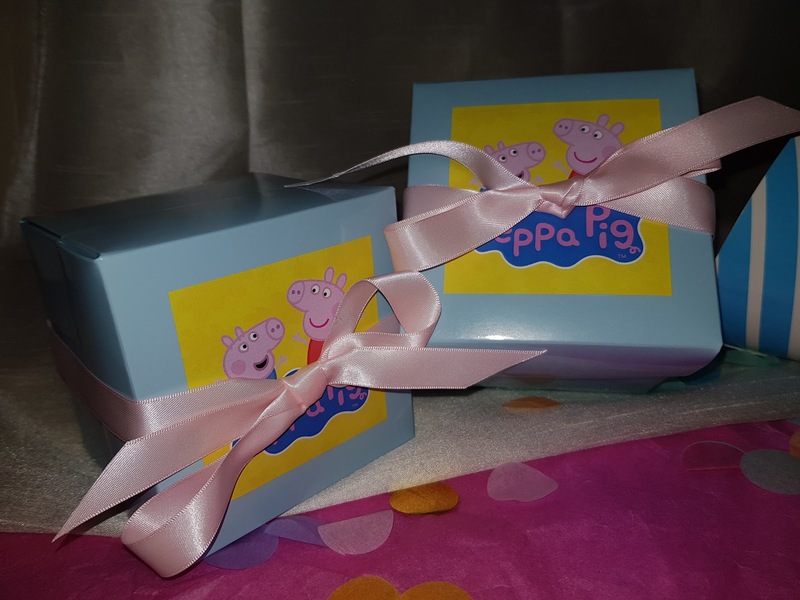 - Fabulous price for a surprise toy, a great Christmas for gift that any Peppa fan will love. 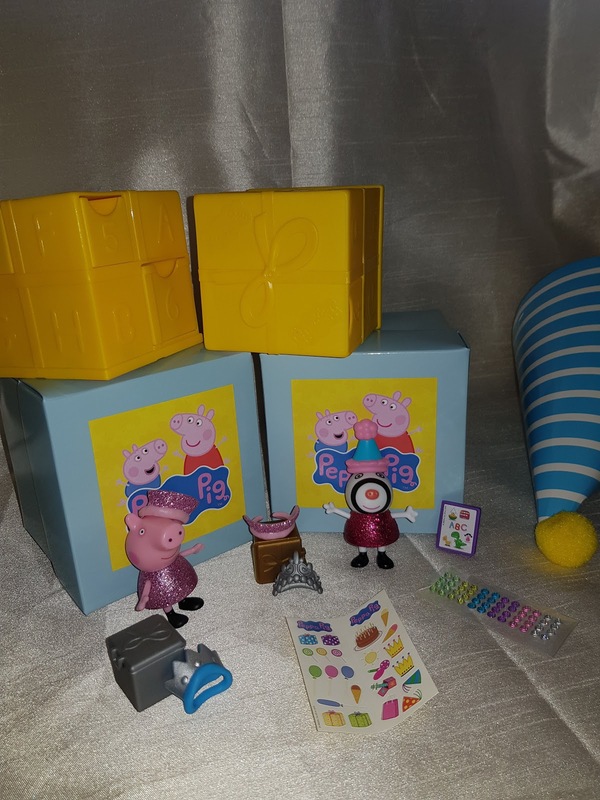 - The figures are the perfect size to use in current Peppa toys. 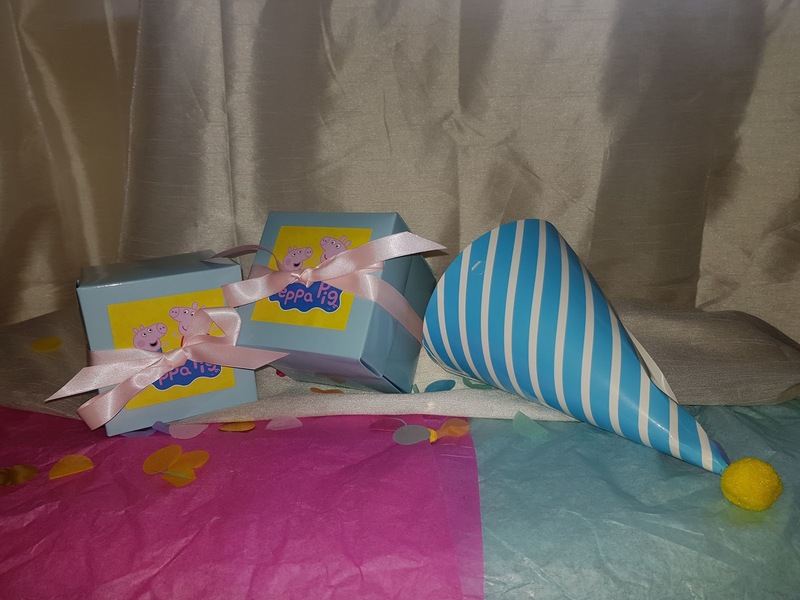 - The surprise gift that keeps on giving! 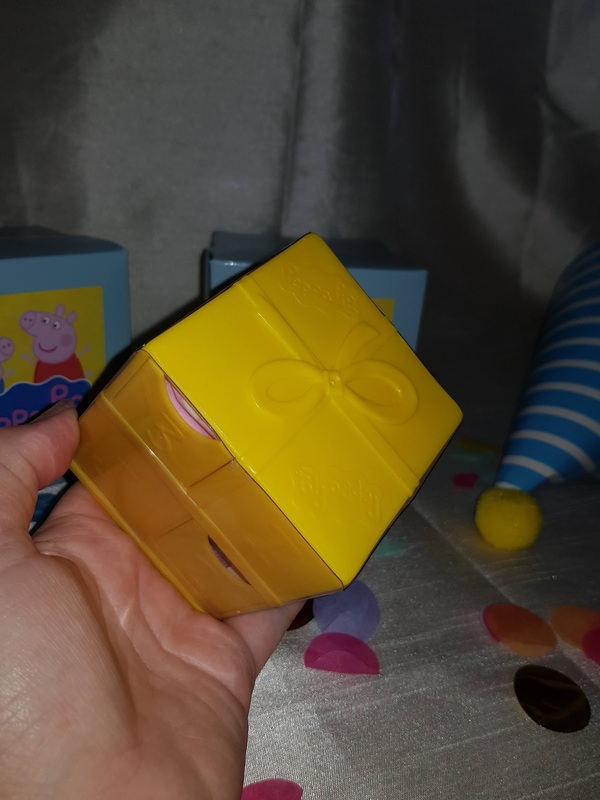 - Unsure what to use the yellow cube for afterwards? Any suggestions? 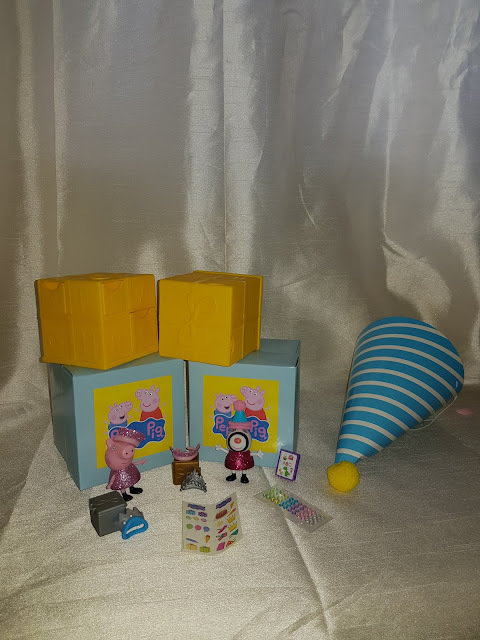 Here is the full selection of the items that were inside in the cube....as you can see a lovely lot (you may notice I thought the item that was a crown on Peppa's head is actually not it's a cape haha, but never mind!). 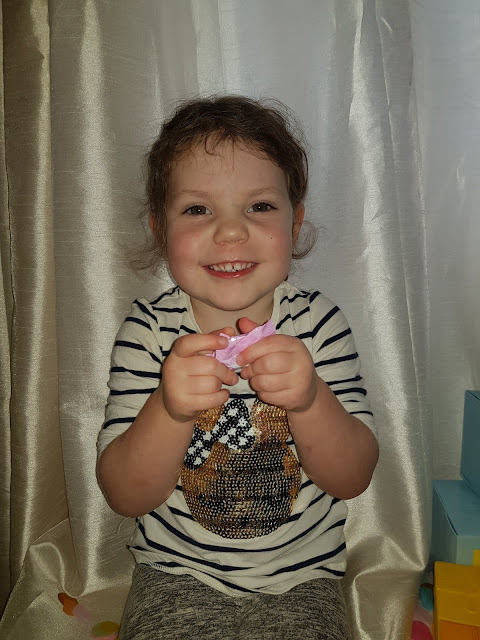 We got a great selection and Elarna was over the moon with receiving Zoe Zebra in hers! She also loved the glittery bits that were featured, lovely added touch. These would make a brilliant Christmas or birthday gift and for £9.99 I think this is a very reasonable price. Available from leading retailers and for information head over to www.character-online.co.uk. 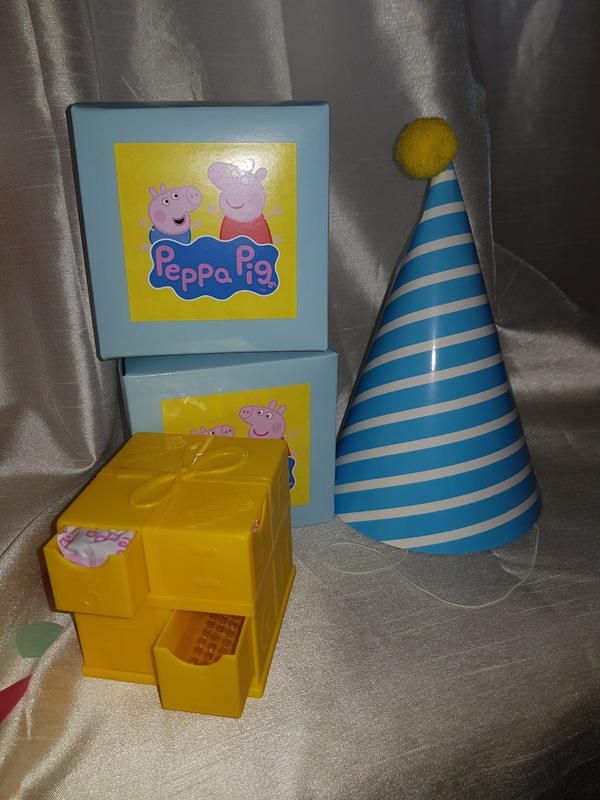 A must for any Peppa fan! * Please note we were kindly sent the item free of charge in exchange for an honest review, all thoughts are our own.